We want your lease return! Schedule your lease return inspection with us. 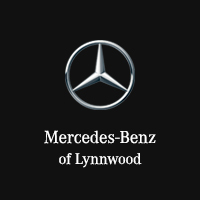 Mercedes-Benz of Lynnwood accepts and encourages your Mercedes-Benz lease return regardless of where you purchased your vehicle. Ready for a change? If you are, now would be a great time to turn in your leased Mercedes-Benz and upgrade to one of our new models. Our Leasing Managers can take care of your lease return and put you into a new Mercedes-Benz with payments that are comparable or even lower than your current vehicle. Your loyalty isn’t only appreciated … it’s rewarded. Up to 5 months’ payment credit on your current Mercedes-Benz Financial Services lease with the purchase of a new Mercedes-Benz. *Eligible customers will receive up to 5 months’ payment credit on their current lease with a lease or finance of any new Mercedes-Benz vehicle through Mercedes-Benz Financial Services. Certain exclusions apply. See dealer for details. Whether you decide to finance or lease a new model, extend your lease or purchase your vehicle, we can assist you with your lease end options and inspections. Give us a call to hear more about our lease return options at Mercedes-Benz of Lynnwood. For more information on lease returns, please send us the following information and we will contact you shortly. *Eligible customers will receive up to 5 months’ payment credit on their current lease with a lease or finance of any new 2012 or 2013 Mercedes-Benz vehicle through Mercedes-Benz Financial. Certain exclusions apply. See Mercedes-Benz of Lynnwood for details.